The elaborate design and embellishment of 1890's gowns was echoed in the intricate fitting and tailoring to custom fit the garment to the wearer. Most women had their clothing custom made by dressmakers, selecting the latest French fashions from patterns in publications such as The Delineator. 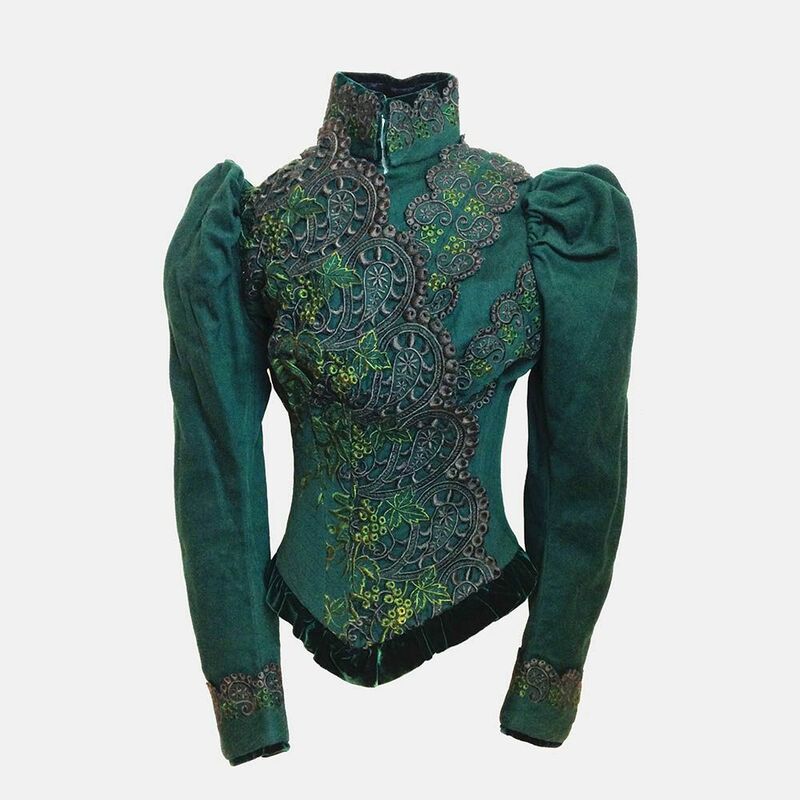 You can read more about this bodice in our Blog.